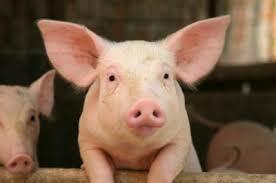 The testing requirements for swine entering Wisconsin will change beginning Feb. 1. Porcine coming into Wisconsin (and/or moving within the state) will have to be tested for both Porcine Reproductive and Respiratory Syndrome (PRRS) and Swine Enteric Coronavirus Disease (SECD). The WVDL requests that veterinarians send in oral fluids samples (min. of 5 ml) from rope testing kits. These rope-testing kits are currently available via email to supplyroom@wvdl.wisc.edu. Testing will be done on Tuesdays (PCR) and Wednesdays (ELISA) with 24-hour turnaround. Sample Collection: A minimum of 5 ml of fluid is required!! Samples of oral fluids can be collected from individual pigs or collectively from pens by hanging ropes. An oral fluid sample is derived from a pen of pigs (representing up to 30 animals), where the pigs are allowed to chew on a length of undyed, unbleached cotton rope specifically made for oral fluid collection. Once the oral fluids are extracted from the rope, oral fluid samples should be immediately refrigerated and shipped to the laboratory for testing. Samples should be sent chilled on ice packs, not frozen. WVDL will offer swine oral fluids collection kits at $5.25/kit, which contain all items required to collect samples and prepare them for refrigerated packing and transportation. Click on this link to fill out and submit your order for these kits: The Swine Oral Fluid Collection Kit Order Form. The Department of Agriculture, Trade and Consumer Protection (DATCP) issued a ‘Livestock Health Alert’ last week regarding changes to swine testing requirements for animals entering Wisconsin and moving within the state. The full release can be read here. If you have any questions, please don’t hesitate to call us (608) 262-5432 or (800) 608-8387 or e-mail at info@wvdl.wisc.edu.